The K1 Storage System from Nils Holger Moormann is the customizable storage solution for all your storage problems. Whether a closet in the bedroom, a cupboard in the dining room as or filing cabinet for the office - the K1 with its distinctive horizontal slits can assist. 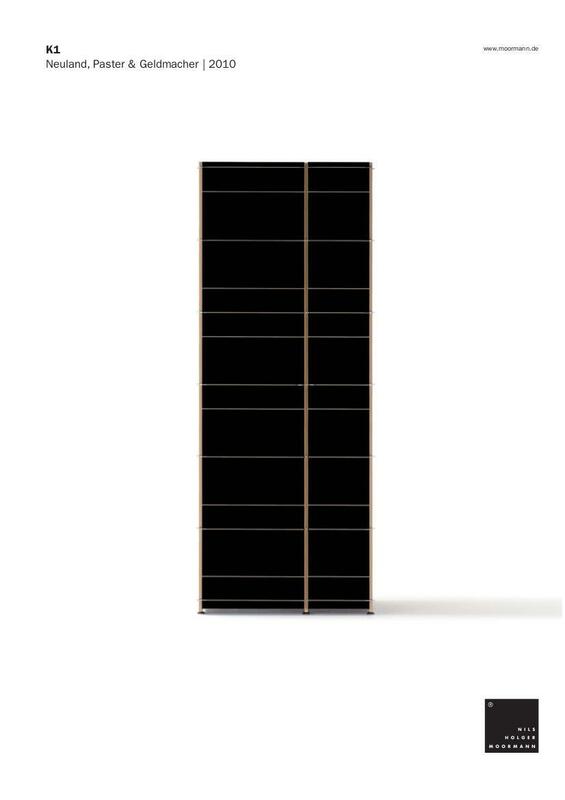 A range of sizes and accessories offer plenty of scope for individual solutions and because the doors can be mounted both on the front and on the back, the K1 cabinet is also as a practical and beautifully designed room divider. Please Note: The colour of the MDF can vary somewhat depending on the origin. Such variations can also be visible after surface treatments such, for example. treating with wax. To avoid major colour differences, deliveries are, where possible, composed of components from the same production run.